Exit Game Productions is proudly presenting a strictly limited season of Rabbit Hole at Chippen Street Theatre this April. Tickets are now on sale (8 shows only). Written by American playwright David Lindsay-Abaire, Rabbit Hole received the Pulitzer Prize for Drama in 2007. The play premiered on Broadway in 2006 and also received five 2006 Tony Award nominations. A film adaptation was released in 2010, starring Nicole Kidman, Aaron Eckhart and Dianne Wiest. It is the story of Becca and Howie Corbett, who have everything a family could want, until a life-shattering accident turns their world upside down and leaves the couple drifting perilously apart. The play focuses on their bittersweet search for comfort in the darkest of places and for a path that will lead them back into the light of day. 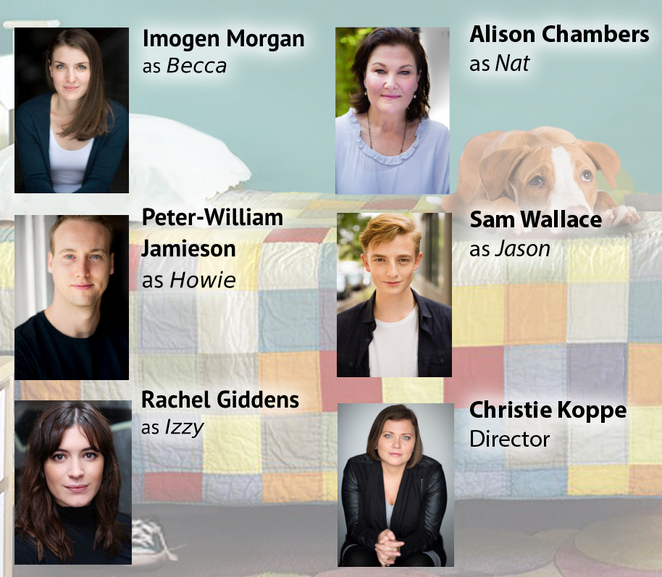 The production will be brought to the stage by talented director Christie Koppe, who was recently a Directorial Intern on Charlie and The Chocolate Factory at The Capitol Theatre under the direction of 3-time Tony® Award-winner Jack O'Brien. The wonderful cast includes Imogen Morgan as Becca Corbett; Peter-William Jamieson as Howie Corbett; Rachel Giddens as Izzy (Becca's younger sister); Alison Chambers as Nat (Becca and Izzy's mother); Sam Wallace as Jason (a local teenager). Director Christie Koppe notes "This is a deeply personal play for anyone who has lost a family member. It speaks truth about the endeavour to continue life after the initial grieving process has passed. While this play provides no resolution to the action, it is in this that its beauty lies. This is real life on stage and the audience is invited to share in the emotion that underlies regular everyday events that parents stomach after the loss of their child." 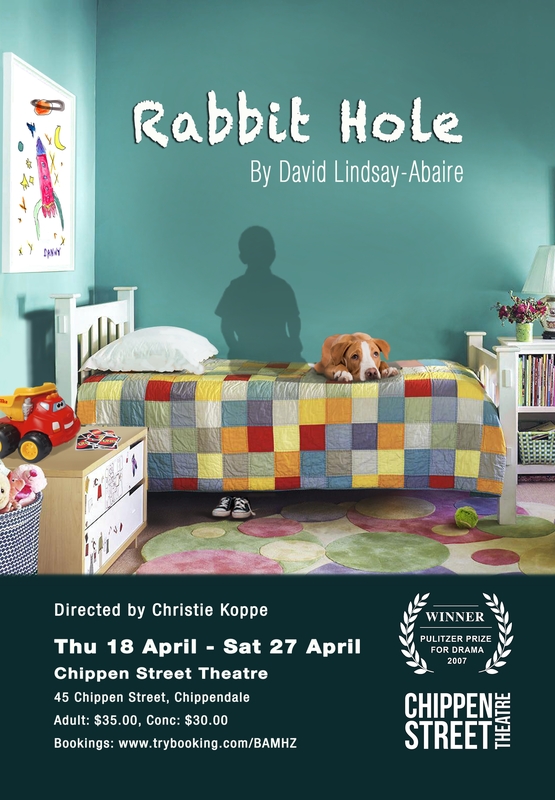 Rabbit Hole will run from Thursday 18 to Saturday 27 April 2019 at Chippen Street Theatre, 45 Chippen Street, Chippendale, NSW 2008. Tickets are now on sale through TryBooking. Early bookings are advised. All tickets are priced $35 and $30 for Concession Holders. Discounts are available for groups of four or more people.